Plumbing although considered a dirty job is very essential. Without plumbing services, pipes that break and leak uncontrollably creating mess you wouldn’t even want to imagine. Worst of all is the fact that most people don’t know how to fix pipes and wouldn’t know the first thing to do in such a situation. This proves that plumbers are needed just as much as a clean home. Choosing the right plumbing contractors in Sacramento to service your pipes could prove tricky at times. There are professionals claiming to be experts in the craft. You need to know that before you hire anyone as a plumber they need to be licensed, insured, and experienced. Apart from this, you need to further evaluate their capabilities with the following questions. The cost of services is very important in knowing who to hire. Don’t accept figures stated over the phone, instead let the plumber come to you. They will get a good look at how serious your problem is and then give you an exact figure of what they will charge for their services. You should hire a plumber that not only promises impressive services but also at a pocket-friendly price. This won’t leave you broke after availing their services. Who Will Do The Plumbing? This question is saved for instances where the conversation is being held through the phone. Ask the recipient about who the service provider is going to be. Sometimes plumbing companies tend to have a lot of plumbers and knowing exactly who will deliver the services will do you a lot of good. It will help avoid cases where a poorly experienced serviceman is sent over to provide dissatisfying services. This also helps clear any possible misunderstandings that might be had in case the plumber comes over and is not informed of the agreed terms and conditions. Before hiring a plumber you need to be fairly certain about their credentials. Ask to see their license to help validate their claims of being licensed. On the license make an effort to look at the date of licensing. Plumbers that are new in the business won’t guarantee high-quality services due to their lack of experience, the only thing they’ll benefit you with are the low charges offered for their services. 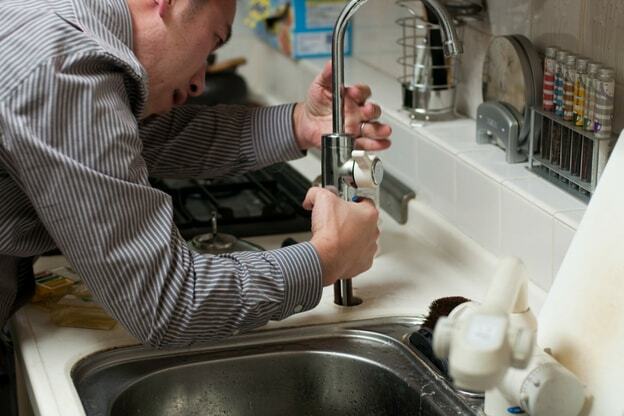 Before hiring a plumber, you must ensure that they are insured. This is very important in avoiding any treatment costs that you might incur in the case that the plumber gets hurt while working on your property. Let the plumber make a clarification on whether the services are charged at a fixed or an hourly rate. Knowing about the rates will help avoid any misunderstandings that might arise at the end of the service. In case of an hourly rate, you should ask the plumber to estimate the time till completion of their service in order to know what to pay beforehand. Plumbing contractors in Sacramento know how to provide the right estimates as they are experienced in the business which is why you should consider outsourcing them for your plumbing tasks.